The world’s most popular anti-malware technology has now gone mobile! 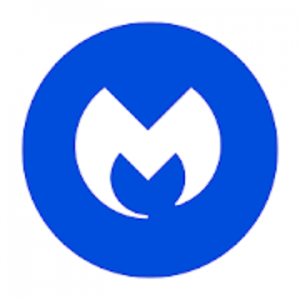 Malwarebytes Anti-Malware Mobile protects your phone or tablet from malware, infected apps, and unauthorized surveillance. • Alerts you if a link to a malicious website is detected in an incoming text message (SMS). Is that app or downloaded file safe? With Malwarebytes Anti-Malware Mobile, you never have to worry again. Powerful anti-malware and anti-spyware technology protects your Android device. Detecting Trojans, spyware, and other Potentially Unwanted Programs (PUPs) before they can steal your identity, eavesdrop, or degrade your mobile experience. Cybercriminals, and even legitimate companies, can collect private information from your Android device. Where you go. Who your contacts are. Malwarebytes Anti-Malware Mobile identifies what your applications are doing, and which private information is being accessed. So you can control who knows, and what they know. Malwarebytes Anti-Malware Mobile automatically recognizes security vulnerabilities in your Android device’s settings. Then it makes recommendations on how to close those holes. Mobile security software is typically bloated with location features (Remote Lock, Locate on a Map, etc.). These features can already be found in your Android Device Manager—why duplicate them? Malwarebytes Anti-Malware Mobile preserves your device’s performance by adding only the necessary security features. And you can update its database over a WiFi network to reduce your data usage.